Visrut Sudhakar is a senior from Cary, North Carolina. After beginning his musical journey at the age of seven, Visrut has subsequently come under the tutelage of Laya Rathanakara Sri. Tiruvarur Vaidyanathan. 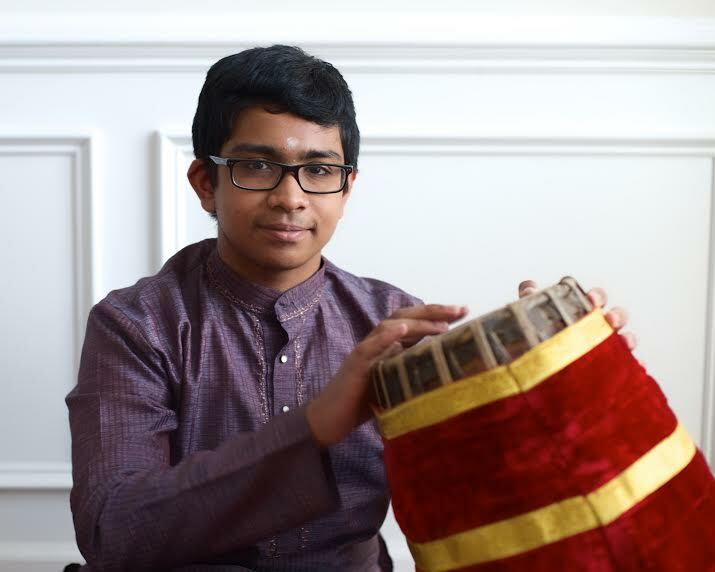 Over the past several years, Visrut has performed in prestigious venues such as the Cleveland Thyagaraja Festival in the Sustaining Sampradaya program, and has been awarded first and second prize in senior level konnokol and mridangam competitions. Additionally, he has accompanied numerous vocal, instrumental, and dance concerts by leading youth artists throughout the South Eastern United States.